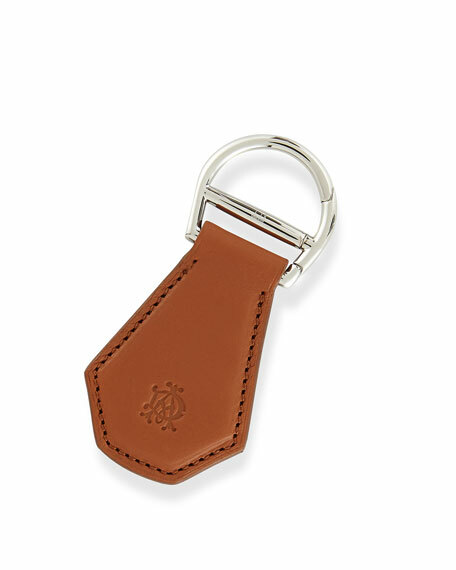 Cowhide leather tag in faceted shape. Founded in 1893, definitive men's luxury brand, Alfred Dunhill has grown to be synonymous with elegant and discerning British aesthetic. Using only the finest materials and working with the finest artisans, Alfred Dunhill's line of men's accessories, gifts, and leather goods are smart, masculine, and refined. Today the brand honors its heritage by continuing to challenge what is expected and embrace the new  but always with elegance, integrity, and creativity. For in-store inquiries, use sku #2160163.